Examples of NEW PARADIGM Splitting and Pairing Accelerated MASSLESS (Micro) Black Holes. : Comet Hartley 2 hides two gas jets spewing micro black holes. 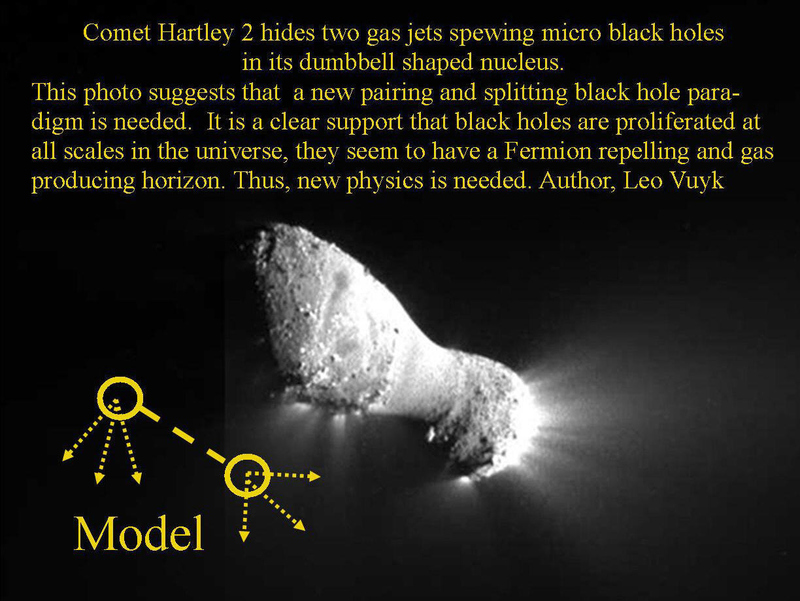 Comet Hartley 2 hides two gas jets spewing micro black holes. Comet Hartley 2 hides two gas jets spewing (new paradigm) micro black holes in its dumbbell shaped double nucleus able to produce H2O!!! and warm up the ice, see new evidence below! Liquid water found inside Comet Wild 2!! This photo suggests that a new pairing and splitting black hole paradigm is needed. 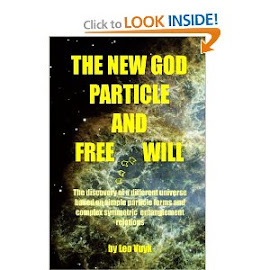 It is a clear support that black holes are proliferated at all scales in the universe, they seem to have a Fermion repelling and gas producing horizon. Thus, new physics is needed. Mind also the "smooth waist" of the dumbbell shaped icy mass with two distinct spots of concentrated jets. "Deep Impact Spacecraft Successfully Flies by Comet Hartley 2"